Digging through our library to find you the sassiest knitted summer tanks was a delightful exercise! We came up with five projects, each one boasting unique style points that hold broad appeal. Which will you knit first? The beach-inspired Kingston tank? The button down Rosulate tank? The choices are varied and compelling – get started! This tee (let’s call it a “borderline tank”) combines the drape and fall of a classic Greek chiton with a wearable, modern shape. The folds of the fabric create an A-line silhouette, and the touch of lace hidden inside the pleat adds a feminine touch. Design by Bristol Ivy. Yarn: Manos del Uruguay Serena, distributed by Fairmount Fibers. A simple tank top with a scoop neckline, A-line shaping, and minimal edging, Naiad makes superb use of interesting yarn. 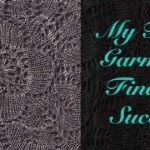 A line of garter stitches from hem to shoulder along the princess seam line is later picked up and worked sideways for a gently shaped bias-lace mock wing. Design by Meghan Jones. Yarn: Tahki Yarns Tandem, distributed by Tahki-Stacy Charles Inc.
A prime example of how fabric structure and color can interact, the Roped Shell’s slip-stitch boxes force narrow horizontal color stripes to curve slightly and create rolling, rippling lines. Designer Angela Hahn finds the perfect echo with rich cable trims at the hem and neck. Narrow slip-stitch columns hide the end-of-round jog. Yarn: Filatura di Crosa Luxury, distributed by Tahki Stacy Charles. With openwork lace at its sides, neckline, and back, the Kingston Tank will keep you cool on a hot day. 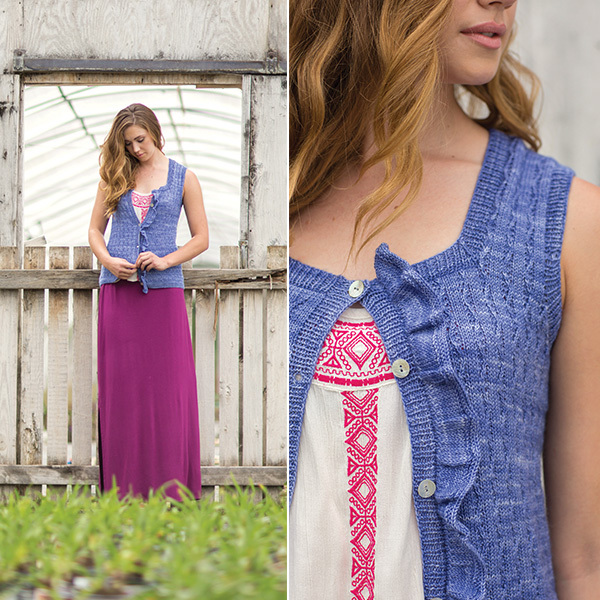 The nupps are a defining feature of Estonian lace that you can master as you make this tank. Design by Margaret Holzmann. Yarn: Rowan Cotton Glacé, distributed by Westminster Fibers. A gentle ruffle frames the buttonband of this layering piece. A small zigzag pattern trails up the body of this vest from bottom to top. This yarn shines in both stitch definition and subtle drape for the ruffle. Design by Heather Zoppetti. Yarn: Baah Yarn Savannah. Happy knitting and summer stitching! 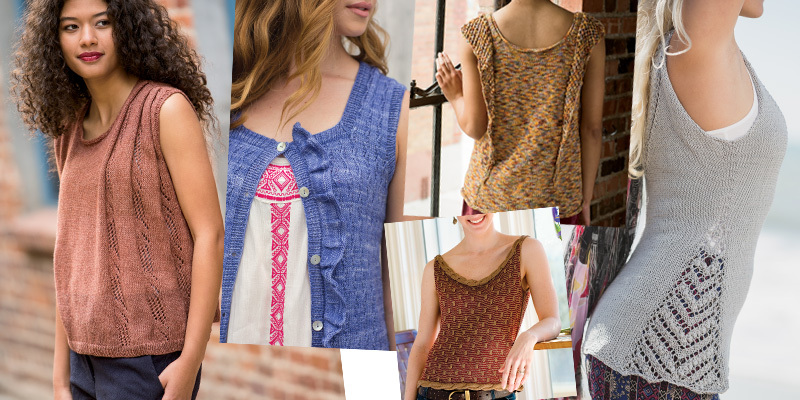 Favorite Knitted Summer Tops – Just for You!